Monday morning saw our new charity beer, Angel Hill, start to come to life in the brewery. 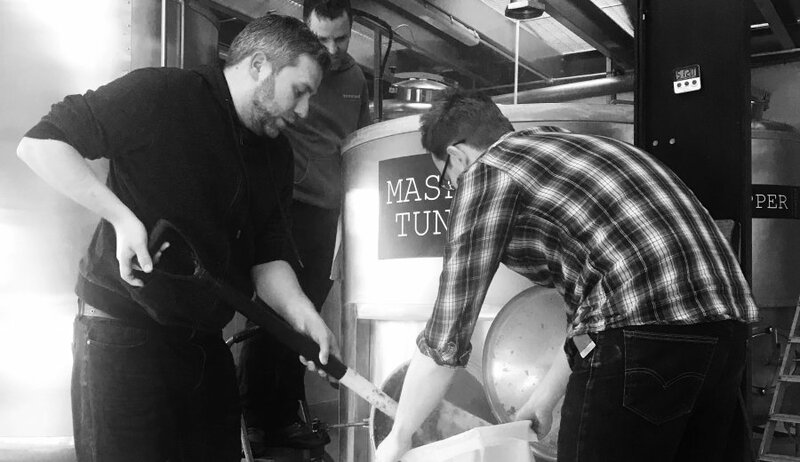 We’re collaborating with local home brewers Alex and Andrew from St Edmunds Brewery to brew this specially designed beer which is a single hop, germanic style, pale beer. Much thought went into its design with several important ‘meetings’ at The Beerhouse being considered an essential part of the planning process! As we type, Angel Hill is fermenting nicely and will be racked into cask and keg early next week.